80s Costumes: Party Like You Belong in the 80s! Over the past three decades, Madonna has been the inspiration to so many when it comes to choice of Halloween outfits. The reason is not farfetched as the iconic singer has made her mark in the music and fashion industry over the last three decades. Her mind-blowing outfits always set the trend and are quite easy to remember. Although her outfits might seem a little complex, it really isn’t and we will help you navigate through some of her most iconic looks, in case you are considering a Queen of the pop look for Halloween or decades’ party as the case may be. From her “Like a Virgin” to “Papa Don’t Preach”’ looks, we got you all covered. Explore with us! There are varieties of styles available for kids who want to dress in the 80s for Halloween or theme party. 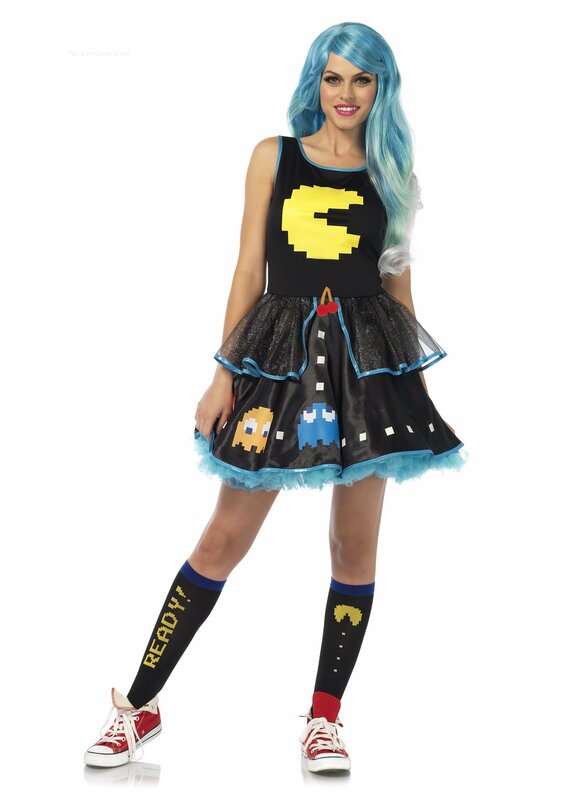 The 80’s costumes are not just for adults but also for kids. The 1980s era was a period characterized by various fashion trends and kids were not left out. Let your kids catch fun and bring back the days of the 80s by dressing in 80s retro chic manner, whether for Halloween or party. Keep reading to get inspiration and ideas on how to dress kids in the 80s fashion. Becoming a rocker boy has been made easy with just a couple of 80s fashion ideas. One of the simplest ways to achieve this is to have a boy dress in dark leather jackets and skinny jeans to provide a heavy-metal look. Tips to Make Madonna Outfits more compelling for your costume party. Nobody who was around in the 80s will quickly forget the waves that Madonna created. This pop star was popular for different costumes which she used to pass different messages across during her many concerts. Subsequently, dressing like Madonna became the in-thing during this era. And, up to this moment, Madonna costumes are still popular, especially for themed parties and Halloween. Although Madonna’s outfit is out of fashion and most people would not want to look awkward with complete Madonna attire in this 21st century, there are creative ways to recreate the outfits that Madonna wore in the 80s. The 80’s was one of the decades that a lot of people considered fun, exciting and neat! Throwing an 80’s themed party in the 90s wouldn’t have been right because there were those who were trying to forget the 80s. Now, hosting 80s themed parties is a trend – at least one person on the block or neighborhood has hosted a 80s themed party! 80s costumes have actually influenced a lot of today’s fashion! The 80s will always remain one of the “coolest” decades of the last millennium. The 80s fashion style has its own unique touch; from acid wash jeans to torn shirts, leg warmers and crimped, the 1980s was so special in its own way. Therefore, 80s Fashion is something worth reflecting in the 21st century, whether you want to attend a party or look different this Halloween. And, the good news is, it doesn’t cost much to dress in 80s style, you only need to get creative. When people refer to the 80s as the ‘decade of excess’, it wasn’t just for nothing. So many things were done in excess, especially fashion, hairstyles and lifestyles generally. The 80s fashions depicted a period when men were crazy about the popular “mullet” while women were all the rage for “big hair”. Also, loud makeup and crazy fashion statements. Right now, the 80s clothing and styles are back in more enhanced forms. And, you can choose from inexhaustible list of themes when trying to replicate the classic 80s looks. Popular music stars such as Michael Jackson and MC Hammer inspired vast array of 80’s Costumes for men. The male fans and even the female fans of these popular musicians tend to copy them in different forms. Also, there were renowned musical bands that set the ball rolling for most of the 80s clothing styles. And, some of these dressing styles have become trendy in recent time. Looking for the best Halloween costumes? Costumes require a deal of attention to details, and your ideas have to be as somewhat original. If you want an award-winning Halloween outfit, then you should target at the best Halloween costume that would not be replicated by many. Consider a standout costume that would at the same time reflect skillful planning as well as intricate details. Such Halloween dress will win an award and also remain memorable in people’s mind. Copyright © 2019 80sFashion.us - 80s Fashion, Costumes, and Accessories.